The Fed’s System Open Market Account (SOMA is the account at the Fed that contains all of its bond purchase holdings. I have also tracked SOMA information and influence closely in the subscriber letters since 2010. This weekend in the subscriber letter I looked at SPX(NYSEARCA:SPY) since Quantitative Tightening (QT) began in October of 2017. 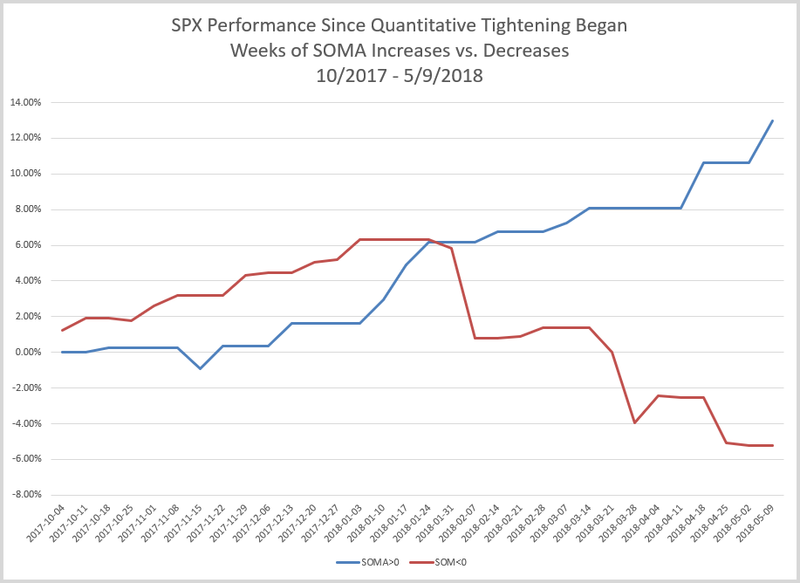 The chart below shows SPX performance during any rising SOMA week vs any declining SOMA week.